Travelling with the kids? 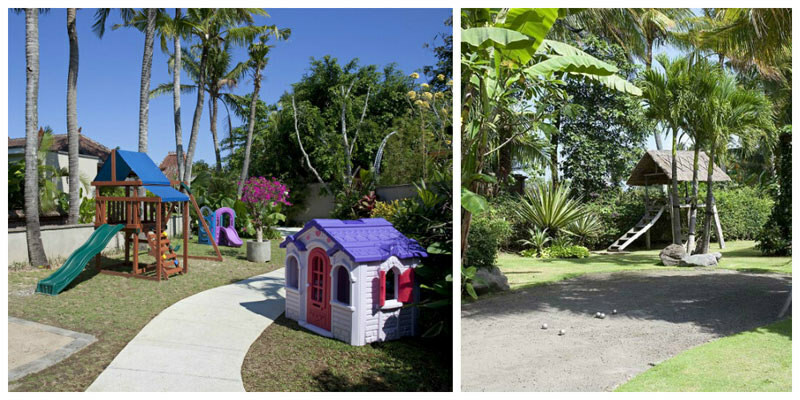 Want to keep them well-entertained while you relax in the comforts of your villa? Access to your own private facilities, and knowing that the little ones can run around happily, independently and safely, without you having to worry about other guests, is a real plus. And no more chasing after hyperactive kids and tiring yourself out so much that you can’t enjoy your break. 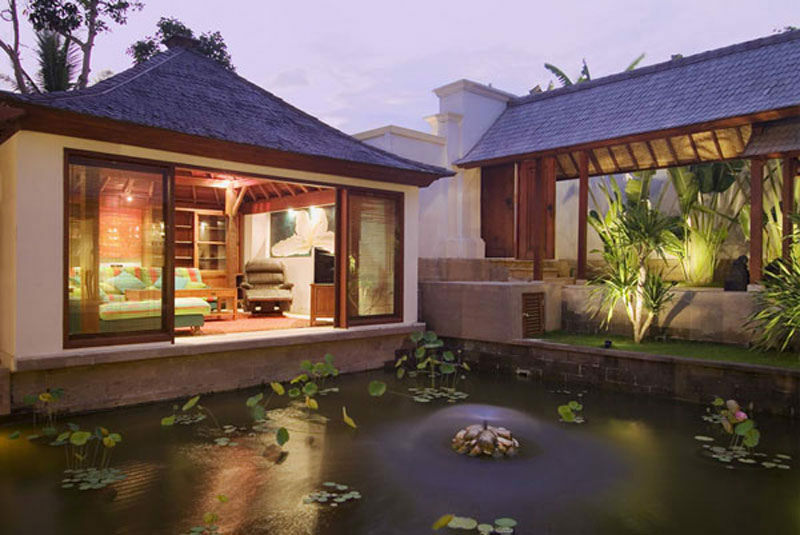 Each of these villas (all 3 bedrooms and above!) have something special for the kids, that they will fall in love and be the sweetest little angels to Mom and Dad. 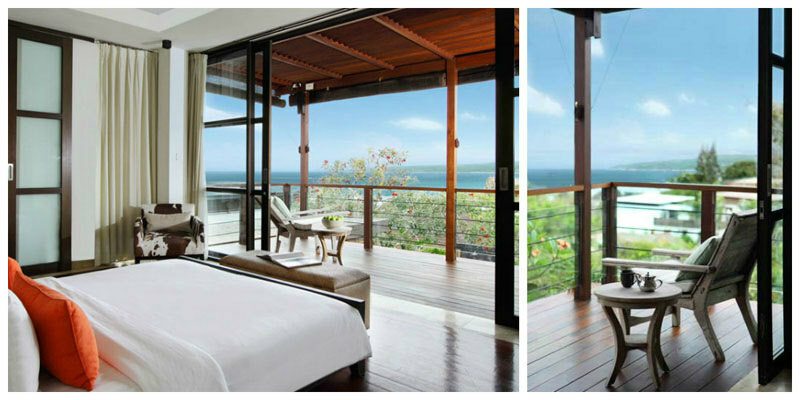 Perched on the hillside above Jimbaran bay, Villa Adenium is the perfect place for a quiet retreat. 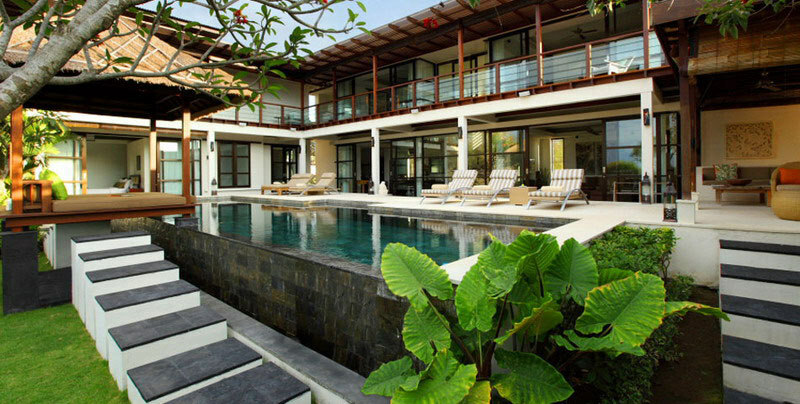 This stylish and contemporary four-bedroom villa is designed for relaxed, comfortable living, offering breathtaking views over Bali’s Bukit Peninsula – famed for its crystal blue waters, white sandy beaches, world-class surf, fresh seafood and stunning sunsets. You will be spoilt for choice for entertainment – as will the kids. Located on the ground floor of the villa is an air-conditioned play room where children will be entertained for hours on colourful beanbags in front of the flat-screen TV, with DVD player and Xbox. When the novelty wears off (or when Mum and Dad decide to pull the plug on technology), there’s a trunk full of good old-fashioned games, Lego and pool toys to meddle around with. 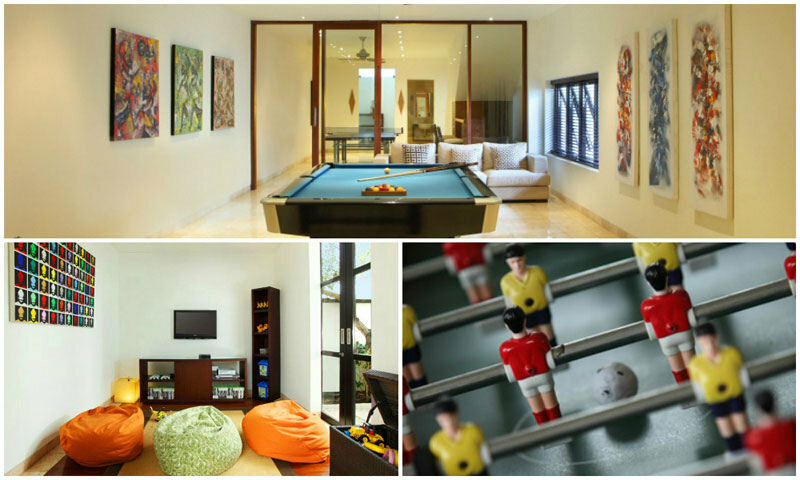 Meanwhile, the games room is for the entire family, with table tennis, billiard, a gym and a cinema lounge. A fully functioning telescope on the balcony upstairs is a lovely touch that will surely delight curious young ones and eager stargazers alike. 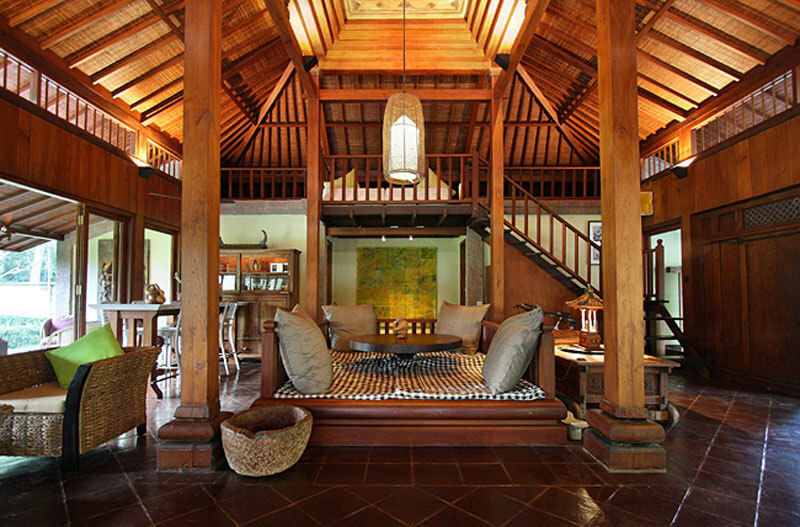 Backed by an open ocean view, Villa Zolima is nestled in the traditional rural setting of Southwest Bali. 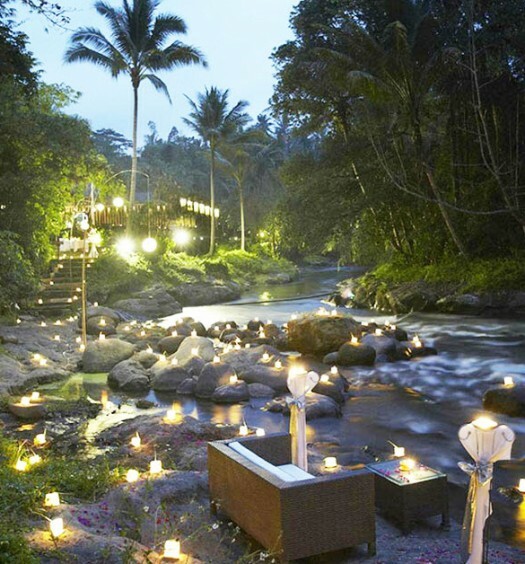 Approximately a 1.5 hour scenic drive from Denpasar Airport, this is the perfect hideaway for families, to escape the crowd in the touristy areas of the South. The 20-metre-long infinity pool overlooking the lush paddy fields is connected to a 12-square- metre shallow pool, perfect for toddlers to paddle around in. 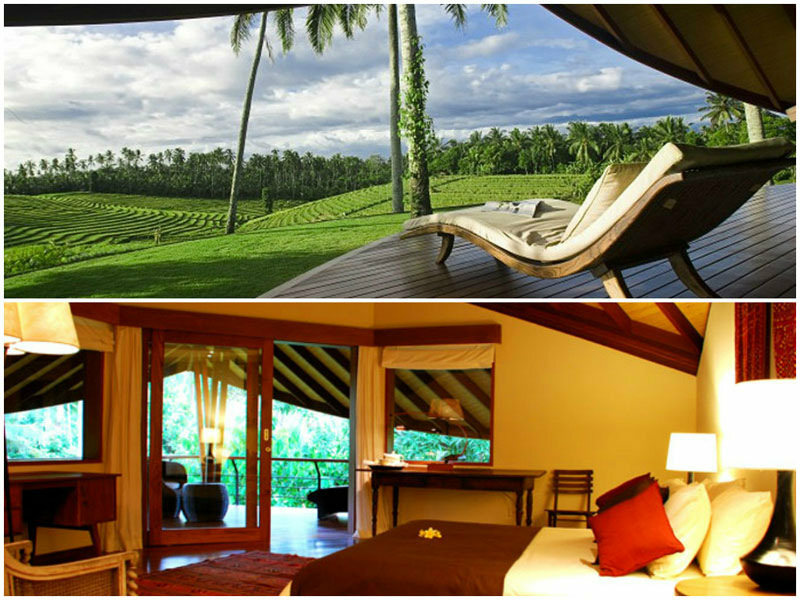 After a swim, you can take the little ones to wander through the woods and cocoa trees. Across a bubbling stream, you can climb up to a private magical Swiss Family Robinson-style tree house with child-sized furniture. And of course, kids will definitely love jumping on the trampoline. Nearby pony rides, surfing lessons, and mountain bike rental are also available for the most insatiable ones. The kids will also have their own room, splashed with cheerful and calming earthy colours, comfy beanbags, and quirky decorations. 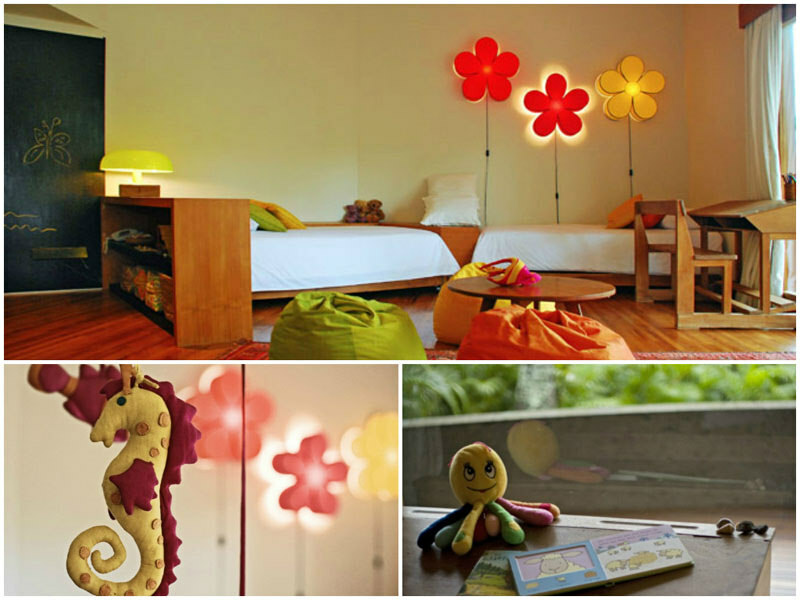 How adorable are those floral night lamps! A wall is also converted to a chalkboard for the young ones to doodle to their hearts content. If you think this is simply a kids’ paradise, don’t worry, you’ll also get to relax in the villa. A blend of modern and antique art and furniture contribute to the warm and intimate atmosphere of the secluded private bedrooms, which are situated away from the buzz of the living areas. 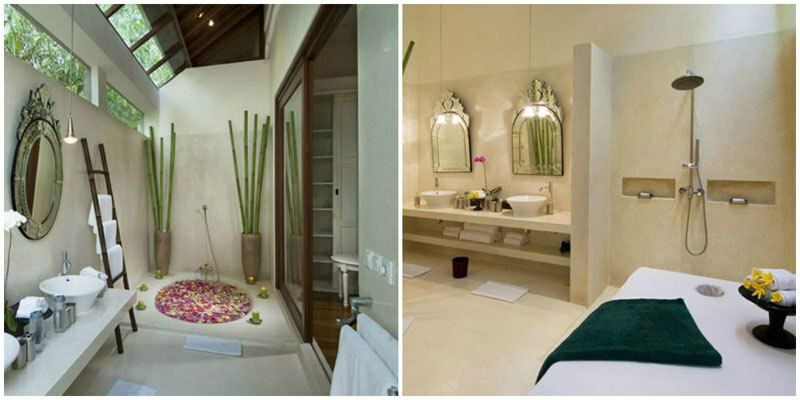 Don’t miss out the zen bathroom too! 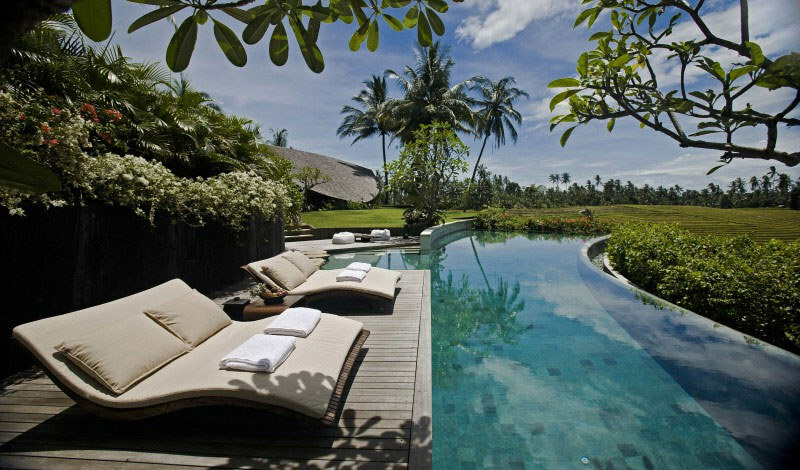 Surrounded by palm trees in the quiet village of Lod Tunduh, Puri Tupai is a private villa just 10 minutes away from Ubud. 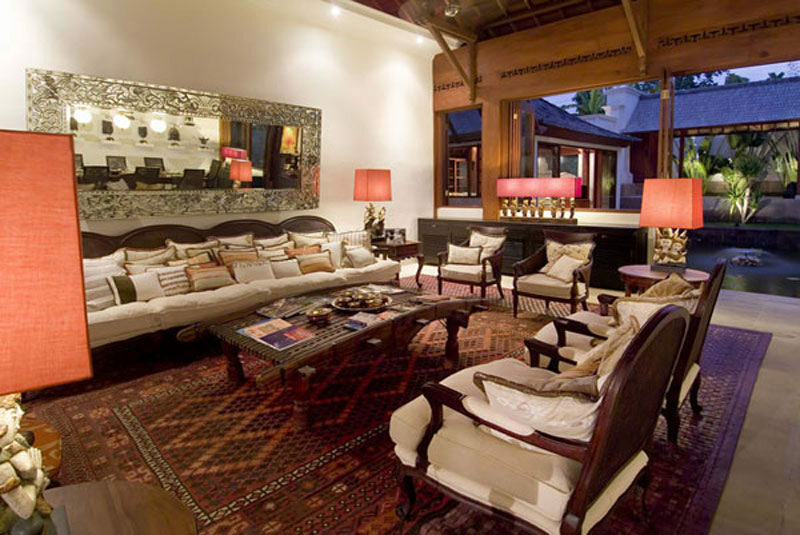 The villa comprises of two Javanese joglo houses, each containing four bedrooms furnished with carved wooden furniture, marble tiled floors, and high ceilings. The whole family can enjoy a dip in the 25-metre swimming pool, play tennis on the grass court or simply lounge in the comforts of the villa. Are your kids animal lovers? If so, they’ll go gaga over the pair of friendly watchdogs, six squirrels and two turtles. And even more delightful – they can also feed the brightly colored koi fish in the pond! The villa grounds is actually the native home of squirrels – hence the name Villa Tupai (tupai means squirrels in bahasa Indonesian). The amiable creature is also a poetic metaphor for its harmonious nature. And if you’re feeling just a little restless it’s great fun to go ‘treasure hunting’ and spot the many squirrels (statues or real life) around the property! 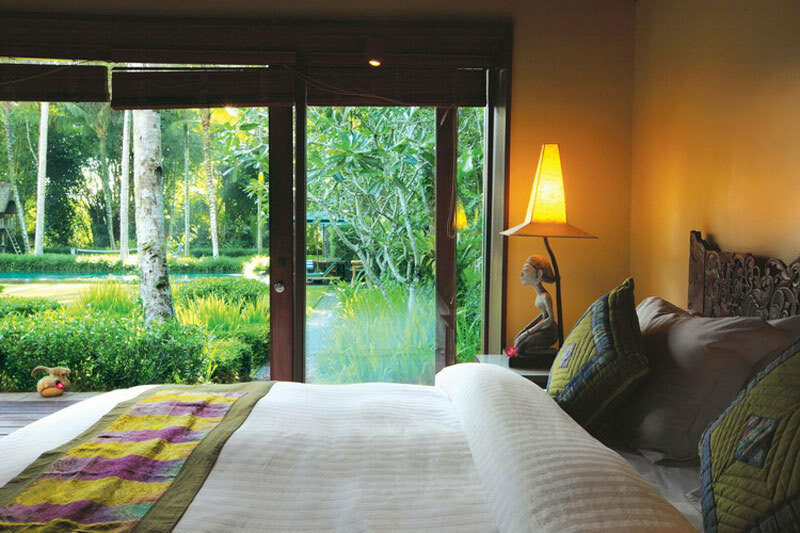 Hidden in a small lane in the heart of bustling Seminyak lies one of Bali’s best kept secrets – The Orchard House. This charming and elegant four-bedroom character home, with an additional bedroom that sleeps four children, has a large mature garden with lush greenery that your family will surely love. 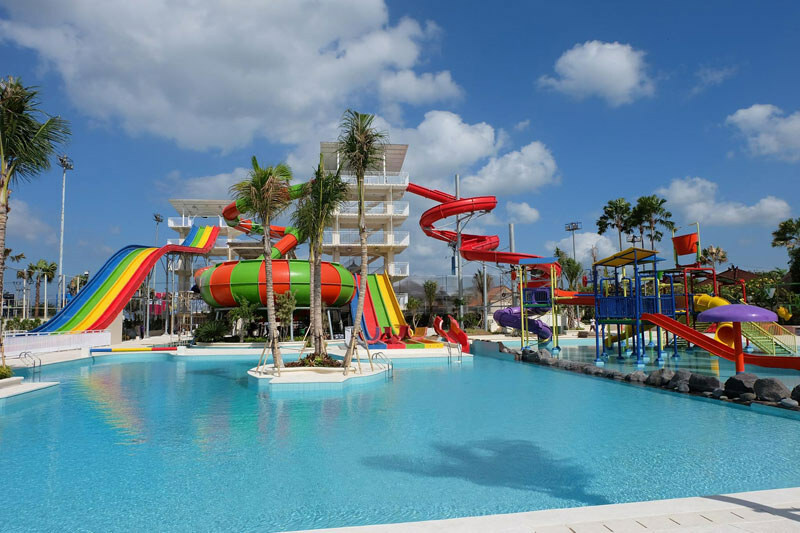 Both you and your kids will surely enjoy this place – there’s a large garden to run around in, a 13-metre swimming pool, tree house and an abundance of toys and facilities. 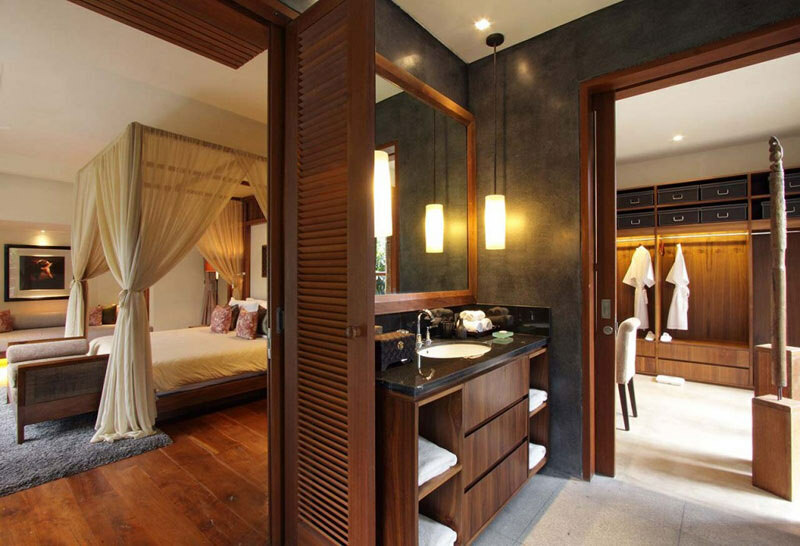 The spacious air-conditioned master bedroom with its white wooden ceiling, hardwood floors, ensuite bathroom, king-size bed and library sitting area is the perfect place for you to unwind and take in the garden views. What’s more – you get to have your kids close at hand. The children’s room can be accessed directly from the master suite. And what wonders can you expect from the children’s bedroom (in other words, ‘playroom’)? It’s divided by a wooden doorway – the first area is fitted out with a white bunk bed, bright pink furnishings, shelves, cupboards and play space, while an annex features two single beds with white and turquoise furnishings. The kids would feel completely at home! 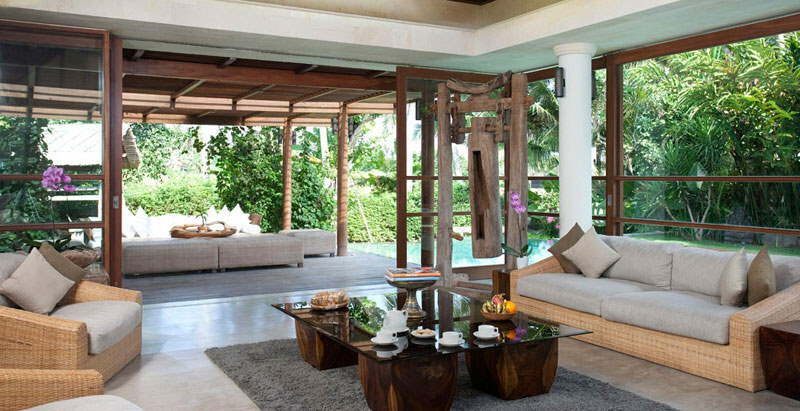 What can you expect from a villa owned by an internationally renowned interior designer and her professional surfer son? You guessed it – an ultra cool yet down-to-earth family beach house positioned just metres from one of the most consistent surf breaks along Bali’s southwest coast. The villa has a simple open layout and a no-fuss design that allows parents to hang out with friends and still able to let the kids run free, without having to yell “don’t touch!” every few minutes. 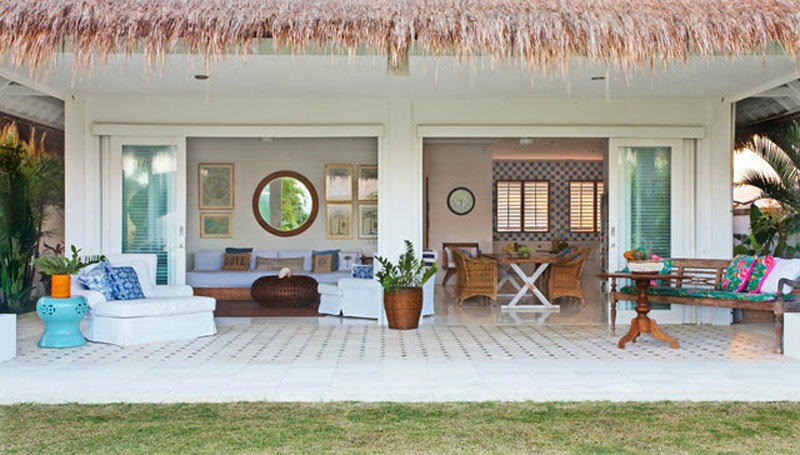 And half the fun of staying in this two-bedroom plantation-style thatch-roofed villa is checking out the effortlessly fresh interiors. Union jacks and vintage maps mingle with ethnic prints and florals. Old-world European tiled flooring and whitewashed wooden walls form the perfect backdrop for quality white linen in the bedrooms and oversized shabby-chic-style furnishings in the living room. Designed with cosy family-living in mind, one bedroom has been cleverly adapted to accommodate a queen-size bed, a built-in bunk bed nook and – up a white wooden ladder – a sleeping loft furnished with a double futon. 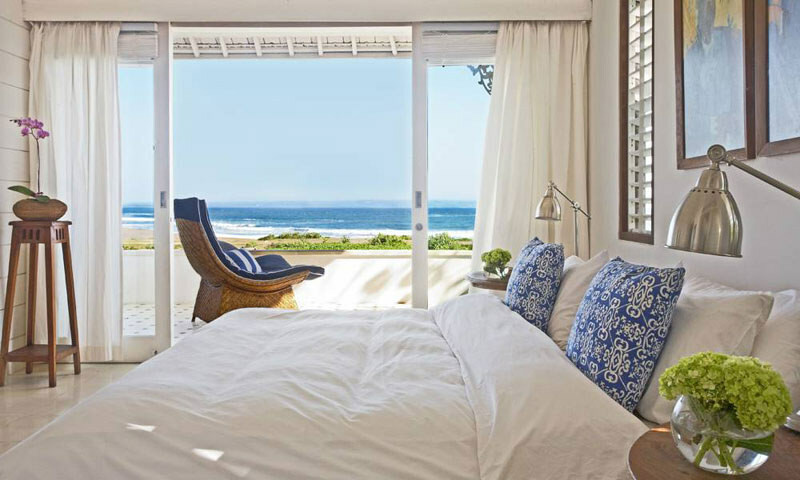 This bedroom and the master next door open to a balcony that greets you with mesmerising views of the waves – so close you’ll be able to cheer on the surfers without having to move from your comfortable seat. 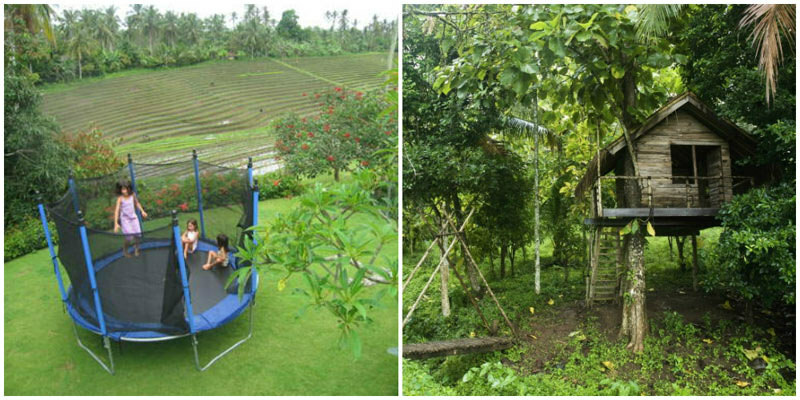 The rent includes guest membership access to Finns Recreation Club (Bali’s first country club) and a Bounce trampoline zone just 10 minutes away by car, so the kids are guaranteed hours of fun! 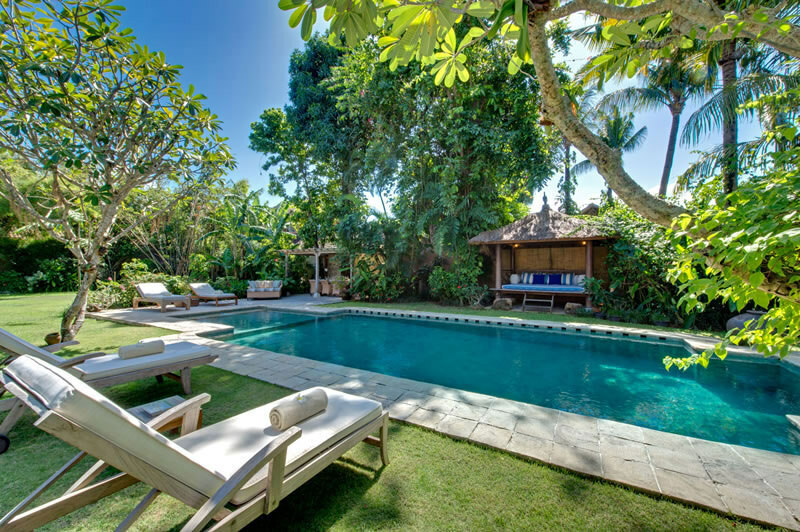 This stunning villa offers stylish tropical living, just five minutes from the surf breaks by Berawa Beach and only 15 minutes from the bustling Seminyak. Aptly named after the Hindu goddess of knowledge, wisdom, and arts, Villa Saraswati holds true to its namesake – featuring elegant furnishings, sculptures, artwork, and antique from all over Indonesia. But the main attraction for adults and children alike is definitely the giant chess in the gardens. Imagine re-enacting the chess action scene of the first Harry Potter movie right here in paradise! Bordered by a deck crafted from lovely reclaimed wood, the 20-metre lap pool is furnished with sun loungers and umbrellas. A flat lawn extends into a magical garden, abundant with flowering trees, ancient gazebos and garden games. At the entrance to the villa sits a self-contained multipurpose studio, unfurnished and ideal for parties. You also get to enjoy shared facilities, such as a gym and a spa with massage room, outdoor treatment area, sauna, jacuzzi and showers. The kids will surely roll around in happiness too – there’s a children’s playground with sandpit, Wendy house, swings and slides. Here, you can relax on cushions in an antique balé while keeping an eye on the kids. A delightful family trip that will definitely leave you with a sweet memories! 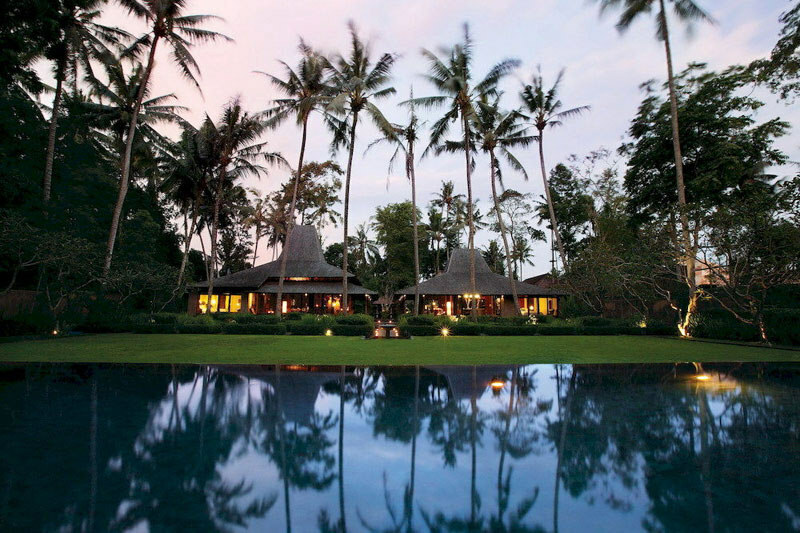 Overlooking the emerald rice paddies of Canggu, Villa Raja is a cultural experience in its own right – a Balinese palace completed in 2007, where sumptuous antiquity meets state- of-the-art western comforts. 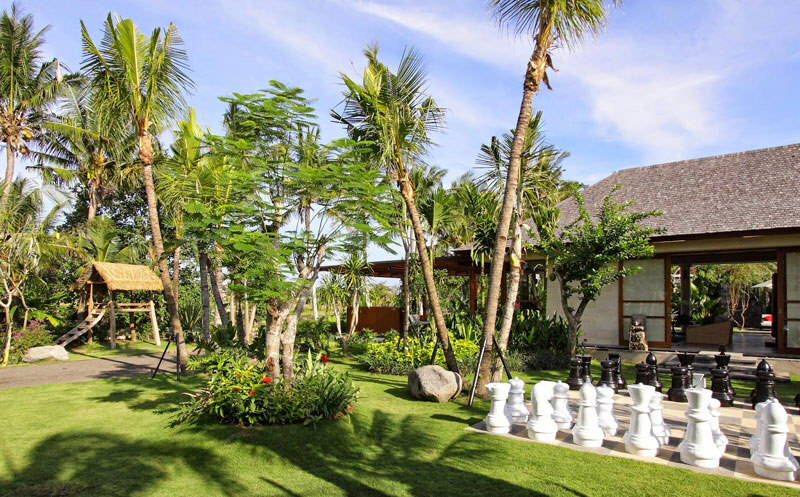 You can enjoy authentic Balinese cuisine and drink your water straight from the tap, thanks to the villa’s NASA-designed water purification plant. 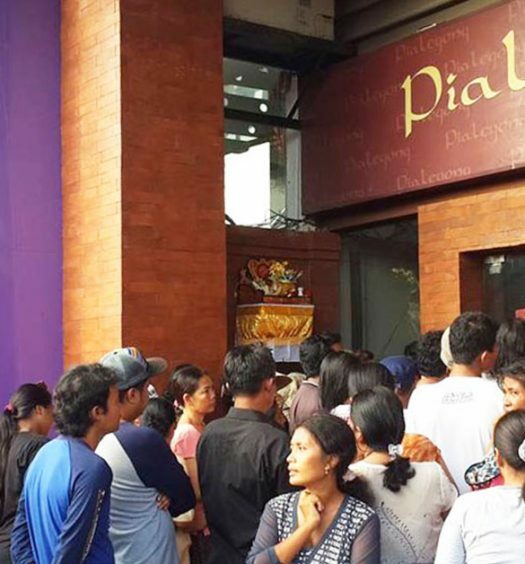 You know how children often become restless during sightseeing and shopping when on holiday, but they will be perfectly entertained at this place. 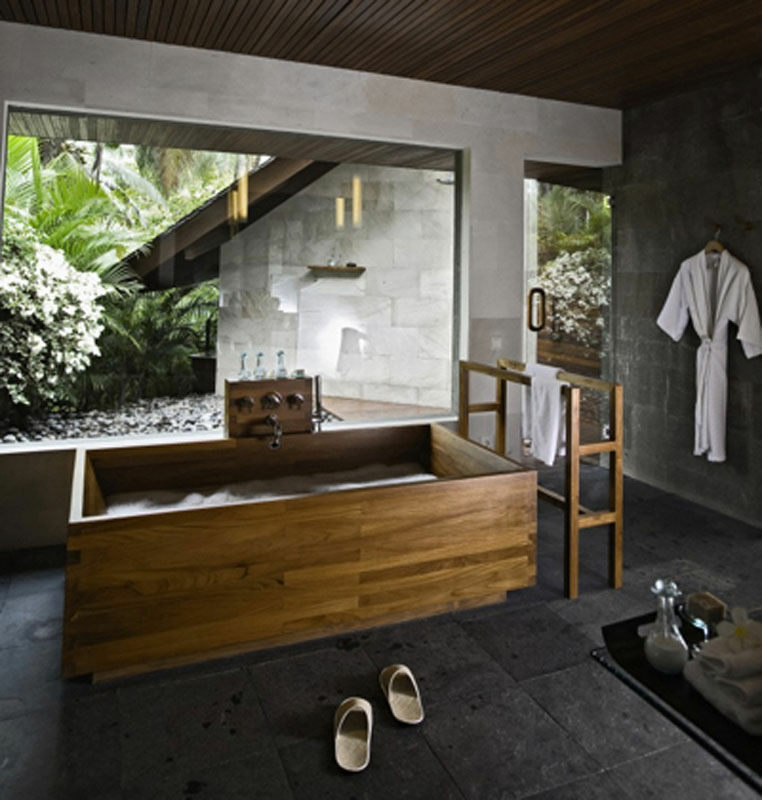 Villa Raja is not just a luxury playground for adults. 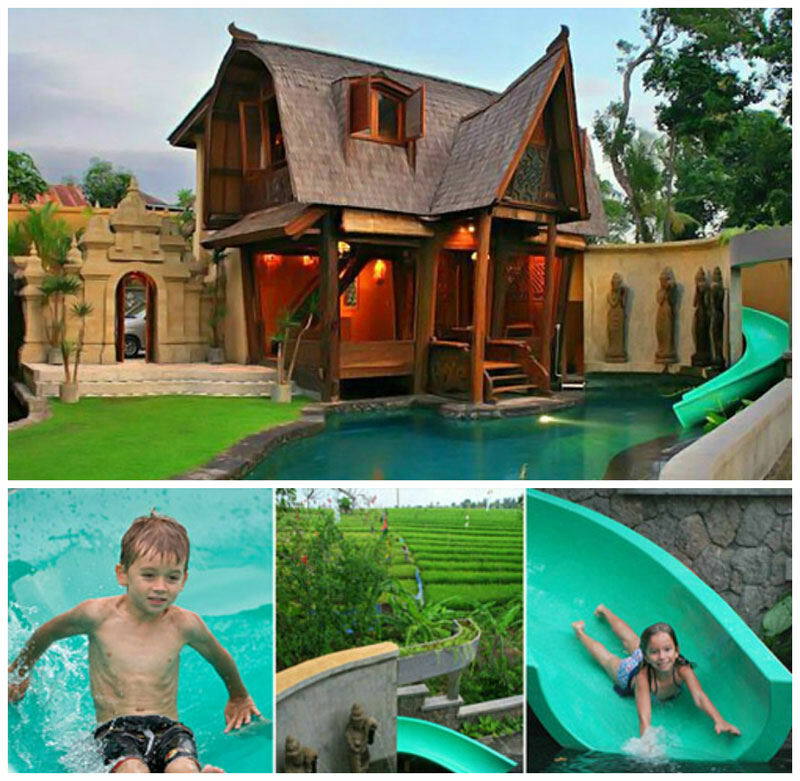 Designed by the builders responsible for Kuta’s multi-million dollar “Waterbom” park, the Villa’s “Shorterbom” is a 12-metre slide that will send them skimming into the beautiful fresh water in the 22-metre pool and keep them delighted for hours. Oscar the resident tortoise is easily spotted as he paddles around the lily pond. He’s used to being handled and loves a piece of bread. The giant albino catfish will also happily slurp fish food from little fingers. If the kids are in need of some rest, plenty of children’s DVDs can be found in the cool, dark comfort of the cinema room. You can be assured that your children are well fed and supervised by Villa staff if you wish to go out and explore on your own. 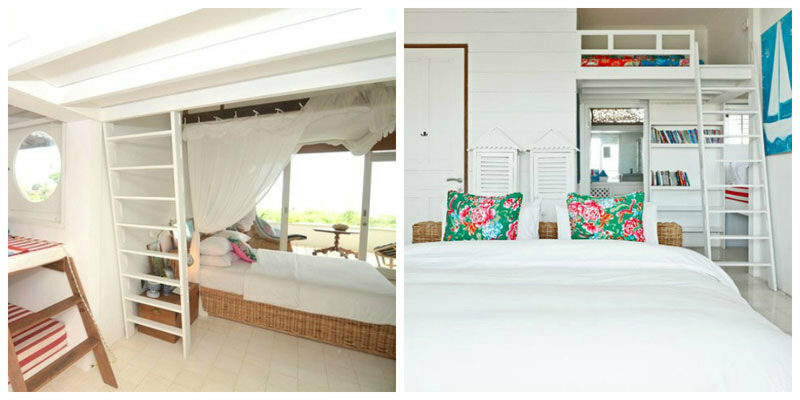 So much love has gone into the colonial design of the villa, that you can feel it the moment you step in. 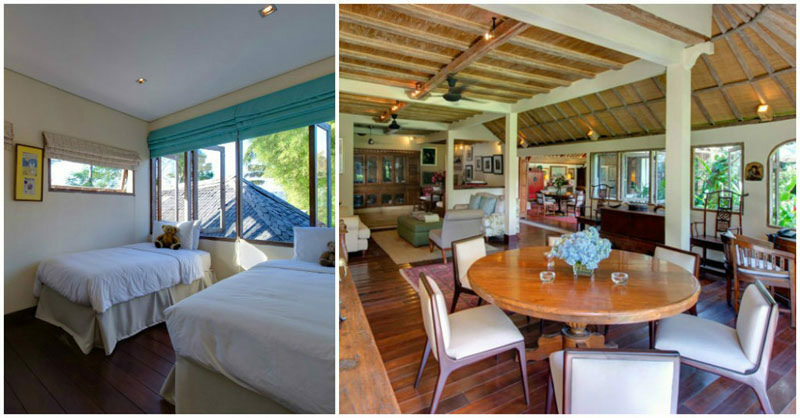 From its recycled teakwood floors, time-honoured stained glass doors and louvered shutters, to its spectacular high wooden ceilings, Villa Mako captures the nostalgic architectural heritage of the Dutch colonial era. Here, you don’t need to worry about the safety of your little ones -there’s even a gated fence that separates the building from the pool. They can get their fill of toys, Playstation 2, and a library of children’s books and DVDs. You’ll also get four bicycles – two for adults and two for kids. Villa Mako is also a member of the Finns Recreation Club, so you’re welcome to use the club’s sports, leisure and restaurant facilities. The Bali Room and Colonial Room enjoy lovely views and sunny balconies, complemented by soft furnishings and colours, such as the green-and-saffron-edged ikat bed curtain. King-sized four-posters, recycled teakwood floors, French windows with stained glass and colonial shutters, antique furniture, gold-framed mirrors, and soft lighting combine to create a romantic ambiance. If your little girls love to imagine themselves in Disney movies, it’s their dream come true – they will feel like Princesses in the twin-bedded Bamboo Room. The room even features an ensuite bathroom fashioned in cream-coloured terrazzo, with twin washbasins, rainshowers, and glass skylights. 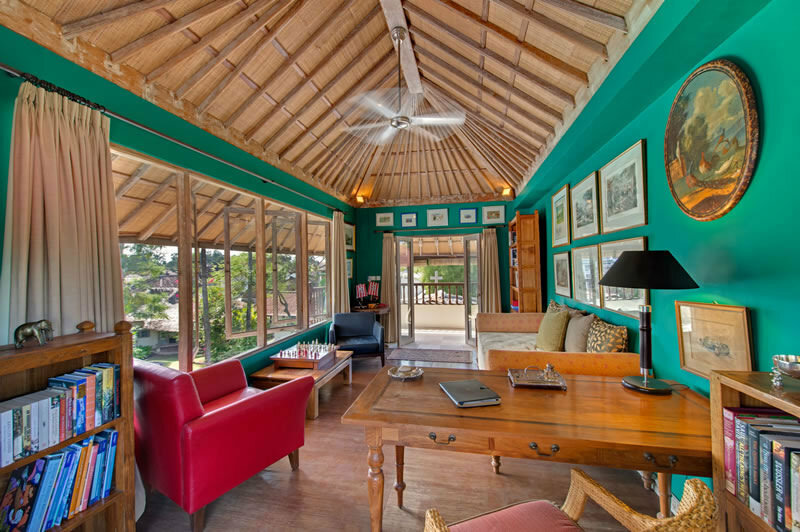 Are there any other fun 3-bedroom family villas that we have missed? Share with us in the comments section below! A travel addict with an incurable wanderlust. Seen more than I remember, and remember more than I have seen.